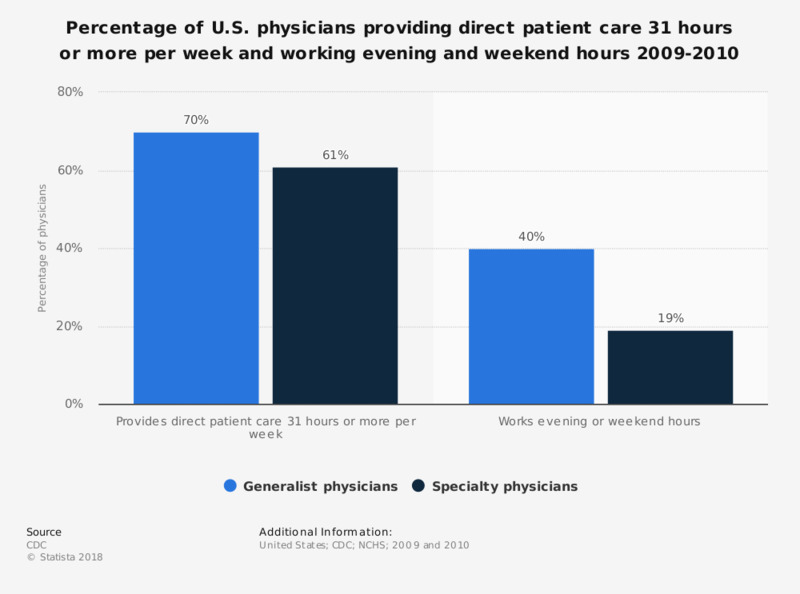 This statistic describes the percentage of U.S. physicians providing direct patient care 31 hours or more per week and working evening and weekend hours in 2009-2010. In that period, some 40 percent of the generalist physicians worked evening or weekend hours, while the percentage of speciality physicians working evening or weekend hours amounted to 19 percent. Do you have confidence in the NHS to provide as good a quality of care at weekends as it does during the working week?